and Green Alkanet (Pentaglottis sempervirens) show off a return to warmer days. Yet is not all what it seems in our small space of woodland and meadow en-compassed by private gardens and confused metro-land public space. The Borage Family of plants can cross with each other and any identification of a Violaceae needs to be spur, the leaf, stem and colour of petal. We have at least two Violaceae at DHKW. Deciding how to place them is difficult. 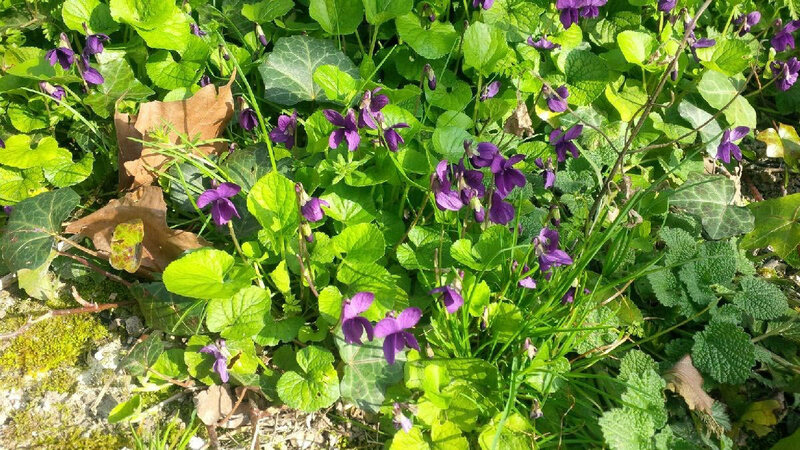 Common Dog-violet seems an option, as does Sweet Violet but the subtle differences in flower and leaf form suggest at least one instance (even as well) of Early Dog-violet. 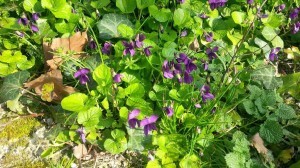 When looking at the patches of “sweet” my reply has to be too purple to be as lighter to whiter for Viola odorata. 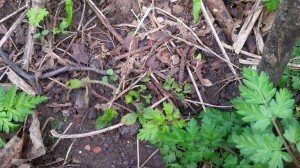 At least can we be sure of the Lesser celandine? Ranunculus ficaria exists in both diploid (2n=16) and tetraploid (2n=32) forms which are very similar in appearance. However, the tetraploid type prefer more shady locations and frequently develops bulbils at the base of the stalk. These two variants are sometimes referred to as distinct sub-species, R. fi-caria ficaria and R. ficaria bulbilifer respectively. We are into chromosomes here and I’ll only say we have Lesser Celandines naturalised. Hybridisation makes identification problematic and is our woodland covered with Green Alkanet, as officialdom records? 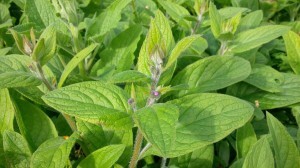 Green Alkanet has blue flowers with a white centre, arising from upper leaf axils, and yes, we have this. Equally, Lungwort (Pulmonaria officinalis) has leaves green with white spots and DKH has a significant tranche of white spotted green leafed plants distinguished by pink at first then turning blue flowers. Closest of observation suggests hybridization between garden grown Pulmo-naria and Pentaglottis sempervirens. Likewise, Yellow Archangel shows itself for the first time in the wood. The patch identified is of a garden sub-species with a distinct silver leaf. Brighter yellow flowers and often used in private gardens. Should we celebrate less as a result? Perhaps not as it still indicates a vibrant woodland biodiversity. In one tiny portion of the wood a solitary wild yellow archangel grows as well. Time will tell which will prosper. One more new find is is Herb Robert (Geranium robertianum).